Judy Keating interviews Corinna about life, writing, and purpose. Click here to listen. Corinna Murray, DVM, CPC is a veterinarian, iPEC Certified Professional Coach, and founder of EnHABiT: Engaging the Human Animal Bond in Tandem and Veterinary Care Navigation. 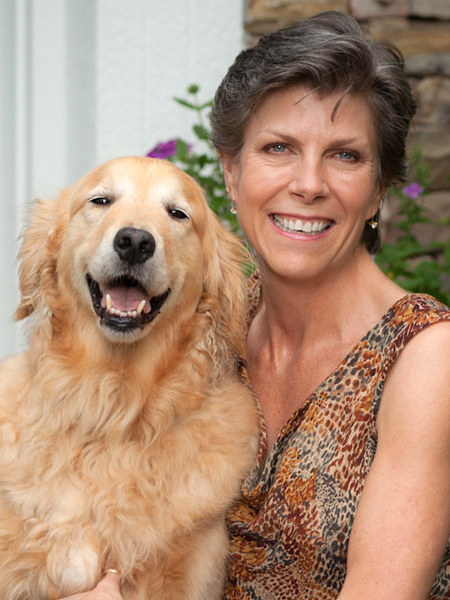 Corinna brings over 25 years of experience as a practicing veterinarian to these unique services focused on enhancing the quality of the bonds that people have with their pets. Her experiential approach in teaching people emotional management, in order to get the behaviors and bonds they are looking for, is simple, effective, and enjoyable for everyone involved. Corinna also provides counsel on reconciling difficult situations and decision making. Framed by a core belief that all of nature is purposefully interconnected, Corinna is a perpetual student of the natural world. Her interests grow from her insatiable curiosity and empathic tendencies. Corinna’s love for and connections with animals led to her successful career in Veterinary Medicine. Her love for people and personal development led her later in life to coaching. Corinna also enjoys being a certified yoga instructor, author, speaker, workshop facilitator, and volunteer for several animal welfare and service organizations and studies animal communication. She combines all her skills to empower others to achieve sustainable emotional satisfaction and to become the stress-free people their pets have always wanted. Corinna lives in Johns Creek, Georgia with her husband and best friend, Mike, her 22-year-old less-abled daughter, Cally, Wookie (Cally’s service dog), and kitties Sadie and Buster. Her grown sons, Jason and Kyle, enjoy living nearby in Atlanta.